All movements have extremist and young earth creationism also has its own extremists that work on the fringes of the movement. Large YEC organizations like Answers in Genesis (Ken Ham), the Institute for Creation Research (Morris), and Creation Ministries International (Wieland and Sarfati) provide some base level of consistency in message and academic rigor although I would argue that that level may not be very high. When a church or organization is looking for a speaker the are likely to pull from these resources. However, there are many independent or semi-independent creationists that often work at the local level or are promoted by small organizations. Dr. Dino (aka Ken Hovind) is a famous example of a fringe creationists who has built a rather large organization despite other creationists warning churches that he should be avoided because of his lack of experience and outlandish claims. I have had my own personal experience with one fringe creation ministry over the years. That is the ministry of Philip Stott which I detail below. In 1997 I had an experience that strongly effected my view of the age of the earth debate within evangelical Christianity and the reformed church in particular. I was invited to travel to the Chicago area to attend a widely advertised debate of an “old earth” creationist and a “young earth” creationist at a reformed-minded church. I received a personal invitation because I had been discussing young earth creationism on several internet discussion groups and was becoming more and more vocal about the growing creation science movement. The invite was by a young earth creationists that thought that invited speaker represented a science-literate creationists who would challenge my wayward thinking. The main event was a debate on the age of the earth and the advocate for a young earth was “Professor Philip Stott”, a science educator in South Africa who was on a US promoted by a small reformed ministry group called Reformation Christian Ministries. I knew about Philip Stott before the debate because he was creating quite a stir on some discussion boards not for his young earth views but his support of geocentricity. He had been arguing that the Bible demands the earth be found at the center of the universe and was trying to give scientific evidences to support that view. In addition to the debate I was able to attend dinner with Stott and the church leadership and I also attended a Sunday School lesson lead by Stott. Being able to witness Stott in these three different venues and witness his interactions with both lay Christians and church leaders was both fascinating and quite troubling to me at the time. In fact the whole experience upset me so greatly that I wrote a letter to the hosting church leadership expressing my concerns about the speaker that they had hosted for the event. That letter is reprinted below. Before getting to that letter let me provide some more history of the creation ministry of Philip Stott. Following this debate and more internet discussion interest in Philip Stott as a speaker apparently fizzled as he faded from the YEC scene in the USA for many years. Reformation Christian Ministries, a small reformed ministry that has mission works and a small correspondence theological seminary, continues to this day to promote him in their newsletters and offered a series of lectures and pamphlets produced by Stott. Several times they put out calls for interest in having him speak at churches but I am unaware if he was able to do much speaking. Every couple of years his name resurfaces on a discussion group because a member of a church is asking if they should invite him to speak. To those requests I have responded with the letter below along with encouragement to do some homework before making any invites. In 2010 Stott published a science fiction book set in the pre-flood world. Thus far it doesn’t appear that book has gained much traction. I don’t intend to add it to my creation book collection for reasons that will be evident in the letter below. 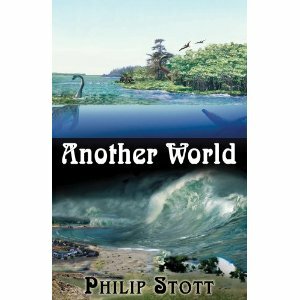 "Another World" (2010) is Philip Stott's attempt at a sort of creationist science-fiction in which he attempts to explain both the geological and societal in his portrayal of the pre-flood world. Philip Stott is clearly passionate about his subject and a sincere Christian by all accounts. However, despite his sincerity he, like many other self taught creation evangelists, shows little regard for accuracy and seemed more concerned with making rhetorical points than having real conversation. What I find striking and disheartening is that as reformed Christians, who generally pride themselves on having pastors with real training and making reasonable cases for our faith, we are showing so little discrimination with who we allow to teach us about science and faith. We are very careful about who is allowed to teach a Sunday School class or preach from pulpit regarding most areas of Christian doctrine but it seems that anyone that breaths, has some credentials in science and says they believe the earth is young is is allowed to come teach us whatever they want about science. Church leaders need to do their due diligence in making their choices about what and how they teach on questions of science and faith. It is with much regret that I send you the following letter. I wish to address a few concerns that I have concerning the conference last weekend. I found myself quite disturbed by what I heard. I did not wish to disrupt the proceedings or our time of fellowship together but I did want to make it clear that not everyone who attended the conference found the arguments convincing. First I wish to say that I found Fred Heeren’s argumentation completely unappealing and it was rightly criticized. Although I agree in general with Heeren’s position about the age of the earth I was disappointed with the way he argued his position. I thought he made grievous errors in his approach especially with comments such as “I’ve put my feet in the shoes of the skeptic, trying to find out what it would be like to come without any presuppositions.” and later “we are starting with the evidence not presuppositions.” His appeal to others that believe in “long days” such as Scholfield was unconvincing and showed he didn’t know the audience. Overall, it seemed he was very much trying to play science as a neutral field which, when objectively looked at, will prove the existence of God’s design (thus his book: “Show Me God”). 1) Philip Stott was introduced several times as Dr. Stott. Not only can I find no evidence that he has earned a doctoral degree but his other qualifications were much less than impressive considering the types of statements and comments he made in many subject areas. It appears that he has never actually been involved in a research project. His degrees and work are in the field of applied engineering and do not require the type of scientific processes he talked about so much. Even so, I overheard many people discussing impressed they were by his background and expertise. I am not saying that someone cannot be competent and talk about issues outside of his field, but unfortunately the impression was given that he is someone who has at least studied the creation topic extensively and so can be trusted as a reliable source knowledge. I am not fully aware of the circumstances that initiated his coming to CLA although I have heard that he came by recommendation of Geoff Donnan and Peter Hammond. While I have met both of these men as clergy with no scientific background I don’t believe that either would be able to effectively judge Stott’s knowledge as a scientist. Clearly he is accomplished in public speaking and is a sincere Christian. But I worry that Christians are far too eager to accept the words without question of those whom they think have similar presuppositions/beliefs. The congregation rightly expects the session to have carefully examined those who come before them to present the Word of God. It is especially troubling to me when it appears that evangelical Christians are willing to listen to anyone who seems to espouse the “Christian position” without scrutinizing their background. I expect that the Church would apply far more scrutiny to a speaker if the subject material of the conference had been on eschatology or apologetics for example. 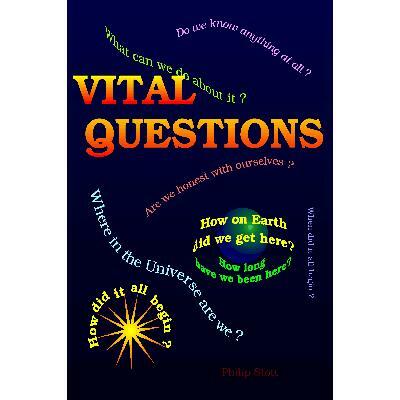 "Vital Questions" is a book by Philip Stott that was being promoted and sold at the debate that I attended in 1997. Of all of the creation science books in my collection this one stands out as one of the poorest researched and written. His chapter on the geocentricty (the earth at the center of the solar system and for Stott the center of the universe) is a classic in gross simplification of both science and Biblical interpretation. 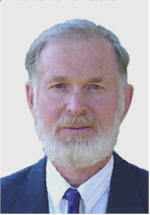 2) Related to the first, I have purchases and read Stott’s book “Vital Questions” and have engaged with Stott in internet discussions over the past several months and it is apparent to me that he has done little more than read other creationists works and synthesize their results along with adding a geocentric viewpoint. It seems apparent to me that he has only a rudimentary knowledge of many of the concepts of geology, biology, and astronomy derived not from the primary literature but from secondary sources. Nearly all the references in his book are to other scientific creationists and what they have said rather than to original research articles. Of those references not to other scientific creationists literature many, if not most, are to articles written before 1980. Also, two of the five reference I looked up this afternoon exhibited poor attention to detail on his part. One had the pages wrong so that I had to search for the right place. One reference (and I see many more like this) just said Science Vol 210. Well, volume 210 has over 1000 pages and 12 issues in it. It took me a considerable amount of time to find the appropriate article. “latest findings strongly suggest that some of the impressions are those of a man walking squarely in the tracks of a dinosaur.” (pg. 20). This case is well known and so maybe a reference isn’t absolutely necessary but then he says, “Russian scientists have also found man and dinosaur tracks.” (pg.20) The Paluxy river case is especially interesting because as long ago as 1989 scientific creationists have admitted that the evidence for man’s footprints with dinosaur’s at this site should be downplayed as evidence for young earth (reference at the end of this letter). I believe that even Carl Baugh’s video on these tracks is no longer being pushed by the ICR for distribution. I am afraid this may be all to true with respect to much of the ‘evidence’ that Stott puts forward in his slide presentations and book. Stott seems to have used Baugh as a source for several ‘evidences’ in his book (especially pgs 30-31) even though he doesn’t site him in his bibliography. In the debate, the slide show, and his book Stott used quotes from an issue of Geotimes from 1978. As he said, Geotimes is a respected journal but when I looked up the article I found it was just a review of what happened at a conference rather than an actual research paper. Why does he not go to the technical papers by those involved rather than relying on what someone said that people said during their talks? Also, a tremendous amount has been learned since 1978 about the topics he discusses and yet he makes little mention of what has happened since that time. To derive so much from a conference report suggests to me that he has not taken the time to read any original research. I suspect that he may not have even looked up some of the references that I did as most of his references come directly from other scientific creationists books. Maybe he assumes that they know more than he does and is relying on their information, but this isn’t how good investigation is to be done. Everything that he said in the debate was nearly a quote from his book. He showed no ability to engage in thoughtful dialogue about problems raised with his positions or to interact with any literature suggesting he was unable to. During the period of questions he didn’t actually add new information but used the questions to say things that he had already said. I have seen nothing in what he has said or written to suggest that he knows anything more than what he has read in the scientific creationists literature. If this is the case he is not an expert in this field and not an independent thinker whatsoever but just a user of selectively collected information. His acceptance of some creationists evidences of a young earth that even many scientific creationists have abandoned is troubling because it suggests that he isn’t even up on the latest literature among scientific creationists. If he isn’t up on their literature I seriously doubt he keeps up on the “secular” literature. Some of these may seem like insignificant details but I think they do speak very much to the poor quality of the research that has gone into Stott’s book and I think renders much of its content highly suspect. I do acknowledge that his book isn’t necessarily meant to be an intensely scientific treatise of the subject material but when one makes so many bold claims it is disconcerting that there is little to back up what he is saying beyond his words. changing, we know that the total luminosity was not itself changing; what was changing was the wavelength where the star was emitting the most energy.” (New Scientist, 14 September 1991 pg. 36 – not 28 as referenced in Stott’s book!). Even in 1955 when the star was blue it was getting cooler as data, in fact, showed. In the early 60’s the star became white and then in the 70s yellow. star). Nothing in the article even hints that this star is doing something that defies any modern theories whatsoever. Since Stott seems to only have gotten his information on these subjects from other sources rather than original literature I doubt that he has any knowledge of stellar theory, at least not enough to evaluate the data himself and to draw other meaningful conclusions. This also illustrates a problem with much of the scientific creationists literature; it references itself so often that where the original data came from is lost and only the perception of what that data had said is left. Lastly, Stott vastly oversimplified his model of stellar evolution (slide show and book) so that it certainly would appear that the examples he gave would contradict what would be expected if modern stellar evolutionary theory were true. I found that most of the other examples he gave were supported by very dubious references and scientific argumentation. I am not an expert in many of these fields by any means but even I could, without looking up the references, pick out many very basic flaws in many of his examples. You might say that this is because I am coming from a different point of view or have a bias but I am only saying that he has obviously not informed himself on many of these issues and would not have said much of what he said had, he done more research (literature searches). If these were the best examples he could come up with then it is clear that the evidence for a recent creation must be slim indeed. Unfortunately, I am sure that very few of the hundreds of people that attended this debate and other talks would have had any way of evaluating what they had just heard. His presentation, I would imagine, sounded just wonderful and would be very reassuring to someone who may have had some doubts and needed a shot of confidence in a young earth. But how can I and other Christians be reassured about a position that is only defended by those who don’t appear to really understand the subject material they are dealing with? To me the scientific evidence presented by Stott certainly did not demonstrate the earth is young. I can see that a lay person will have no difficulty believing Mr. Stott. His stance on the Bible was excellent and I agreed with nearly everything he said but unfortunately he seemed to use his Biblical position as an excuse to say whatever he wanted about the data. I generally agree with a presuppositional outlook (unlike Heeren) but just because Stott proceeds convicted of the truth, this does not give him the right to misrepresent information and not to present it fairly (I don’t mean to say that he has done this intentionally but has done so unintentionally by not preparing himself thoroughly for the topics). His whole Sunday School presentation was emotionally based rather than informative. It served only to cut off any real discussion. How can anyone possibly object when they have just heard that if you don’t believe what the speaker has just said you are deluded and your thoughts are the handiwork of the devil! I have very serious reservations about Stott’s background and understanding of science and his presentation of the evidence. Just because someone believes in the inerrancy of Scripture does not make his presentation of science, even from a “Christian” perspective, inerrant and itself immune from criticism. Though not by design I am sure (I realize the focus of the material was somewhat out of your control), it seems to me that if we were to strip away all of the scientific evidence that we heard we would have been left with very very little about what the Bible says on the issue at the conference. Aside from a very short and, I thought unproductive, discussion of the use of the word “day” in the Bible, there was virtually no Biblical exposition to support either side. Even during Sunday School we did not hear much in the way of Biblical exposition to justify the conclusions drawn by the speaker. It seemed that most of the verses quoted were used to suggest that anyone not believing what the speaker is saying is anti-Christian. One may feel this way but the use of such verses does not act positively to help anyone to “learn how to defend their Biblical position” as the conference announcement stated. Maybe there are Biblical reasons and even other scientific evidences not presented that would support a young earth, but I don’t feel that anyone should feel reassured in their position based on what they heard Saturday and Sunday. Maybe I’m being too hard on Philip Stott. I may be misreading his intentions with some of his statements. It is difficult to criticize a man who is obviously so sincere. Unfortunately, history is filled with sincere people that have lead others astray. While I don’t believe Stott is directly leading Christians in the Church away from the faith, I do believe that he is helping to create an atmosphere in the Church that makes thoughtful discussion very difficult and leaves those with legitimate concerns and questions very few answers. Burrows, William D. 1986. The end of the Paluxy Footprint Story? North American Creation Movement Newsletter. Victoria, B.C. Canada, March No 36 p. 3-5. Continued Research on the Paluxy Tracks. Acts and Facts Vol. 17 No. 12 (Originally written anonymously by John Morris). I find it amazing that you try to pull a man like Mr Stott apart in this way, I have known him for roughly 8 years now, and would like to say one thing, get to know the man before you falsely accuse him of being unscientific/un-scriptural. As far as your views on his book “Another World” goes, it is supposed to be a FICTIONAL work, not based on fact. Thanks for the letter and concern about your friend. I recognize that my letter does not paint a positive view of Mr Stott scientific abilities. That letter was written many years ago when I has much less patience than I do now and I would probably write much more carefully today. I didn’t write though not knowing Mr Stott. I have met him, had dinner with him (as a group), and corresponded many many times with him on discussion groups. Since I care very much about the reformed faith I was especially concerned about some of Stott’s claims and had spent many many hours in research of his book and his opinions expressed in the church. So I don’t write without having put much thought and evaluation into Stott’s understanding of science. I definitely don’t take being critical in public lightly and made my concerns known to the session of the church although they made no response. As I said in my article I believe he is very sincere in his belief but sincere believe doesn’t always make something true. I think I was clear that that his book “Another Word” is fiction. I think I called it science fiction and that probably wasn’t the best term to use and so I will reword what I have written. I read Vital Questions many years ago. I met Mr Stott at his house in Bloemfontein, and had a long discussion with him about the re-print of the book at the time. He said it needs some revisions, as he keeps learning more and more. But here is the point: His book opened my eyes. I have since been able to better distinguish between true science, and the dogmas peddled by some scientist. I have become less dogmatic regarding “scientific evidence”. I think we should all become less dogmatic. As you said above, may your wisdom continue to increase, like Phillip Stotts, for he is clearly a very wise man, and would have convinced me with the facts he presented alone. The more degrees a man has, the less believable I suspect him to be. The book is not written for professors, as they are often beyond help. But every thinking human being should read this book: Vital Questions. Who is the author of this piece please? It is well argued and seems to be a valid critique . Is he a scientist? Qualified how and where and when please? Thanks. The author is the same as the author of all post on this blog – Joel Duff and you can find out more in the “about” page. I have a PhD in biology am a biology professor. I’ve published articles and written book chapters on science/faith. I’ve written over 350 articles on creation science and studies creationism for 30 years and have many YEC friends.